Soon after the declaration of the result, the official authority will organize the counselling procedure for the qualified students. This counseling aims at offering the final admission to the shortlisted students. It will be held as per the official schedule which will be released by the official authority. The students should stick to the official schedule so as to attend the COMEDK UGET Counselling 2019 on time. • The counseling is considered as the final admission round for which the students have struggled so far. • The students need to attend the counseling as per the official schedule as once the dates have been passed, the students will be unable to attend the counseling procedure. • Several stages are associated with the COMEDK UGET Selection Procedure 2019 and the detailed description of the same is mentioned here. • First of all, the students need to verify their documents so as to become eligible for registration stage. • The candidates will have to bring the original documents in the support of their eligibility. • If the student qualifies this document and their documents are exact and accurate only then they will be allowed to register them. • The students need to register them so as to participate in the further rounds of the COMEDK UGET Counselling 2019. • Unless the student is registered, he or she cannot participate in the seat selection process. • The candidates will have to enter only the genuine information in the registration form. The detailed entered should be correct and verifiable. • The next stage is the choice filling round in which the students need to fill their choices of the colleges and courses. • The students will get this golden opportunity only once. The students can select as many choices he can. • If the student is satisfied with the selection then he has to lock the same so as to proceed further. • The choices once locked will never be changed or modified. • Also, the choices of the first round will be identical throughout the process. • Soon after the choice filling round, the official authority will allot the seats to the shortlisted students. • This is the last round of the COMEDK UGET 2019 Counselling. • The seats will be granted as according the student’s rank in the merit list, availability of seats at that rank and the choices made by the candidates. • A candidate who has the better rank will get the opportunity to select the seat and students whose ranks next to him cannot even think of bypassing him. • Soon after the seat allotment, the students need to report at the allocated college along with the important documents. • It is important for the students to report within the specific duration of time otherwise they will lose their right to claim their seat. • After the first round seat allotment round of the COMEDK UGET 2019 Counselling, the students have the option to surrender the seat. • If the student does not accept the presently allotted seat then he can surrender the same before the commencement of the second round. • It can be done only in the online mode. • After surrendering the seat, it is up to the candidate that whether he is interested in participating in the second round of counseling or not. 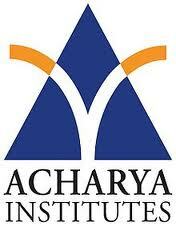 Acharya Institute of Technology is one of the forefront institutes for management and technical training in India that was established by Accurate Education and Research Society. 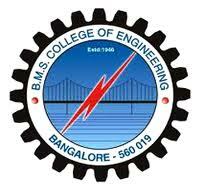 Alpha College of Engineering (ACE), Bangalore came into existence in the year 2002 is approved by AICTE and Government of Karnataka and affiliated to the Visvesvaraya Technological University. CMR Institute of Technology (CMRIT) was founded in the year 2000 by CMR Jnanadhara Trust is a private engineering college located in Bangalore, India.